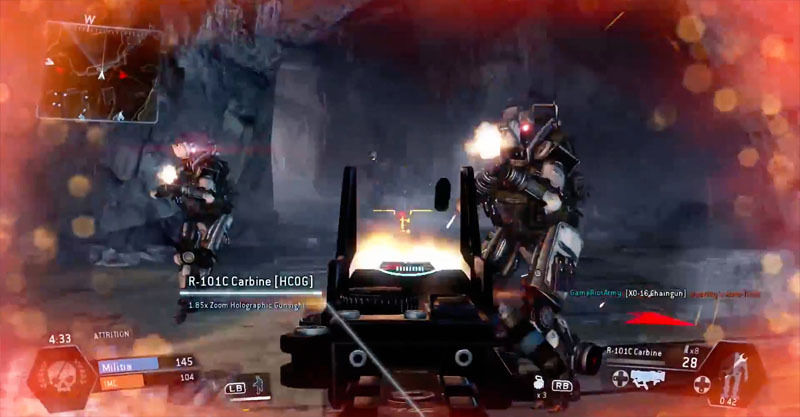 Titanfall features multiple classes, weapons, maps and game modes. As obvious, each class displays a different set of weapons/abilities and each specific battlefield has its own tactics. However, there are numerous general strategies that warranty players’ dominance independently of the class and map chosen. In fact, it’s all about tactical positioning, approaching and movement. The game has a quite balanced combat system and every pilot-titan combination has its own strong and weak points. If you’re wondering how to dominate everywhere without having to make a strategy plan for each map, then you probably should follow the tips and tricks stated below. I know most players can’t resist the temptations of open-fire encounters. But each match has its own specific objectives and if you don’t follow them, you’ll most likely fall behind. Apart from the Attrition deathmatch mode, you should look forward to accomplish the main goal before the enemy team does. Even if your score is not the best, at least you won’t end up in the losing side. 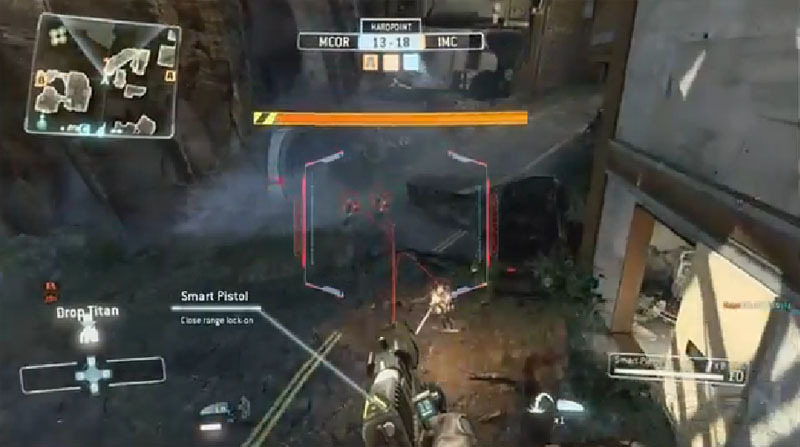 Titanfall’s minimap is a precious relic that should get all your attention. This tool will provide the most crucial information about the battlefield. It will display nearby IA (small orange and red dots) and player enemies (big red dots and triangles). And it will also inform you about the game mode’s objectives and your team’s performance. Tactical positioning can be quite tedious sometimes but it really pays off at medium-long periods of exposure. It’s true that you’ll get vulnerable at higher grounds, since you won’t be able to move a lot or take proper cover, but on the other hand, you can easily spot enemy pilots and take them down from afar. Besides, you’ll have a general view of the match and the possibility to decide where to go next. The more you move, the harder it is for enemies to hit you or fatally wound you. 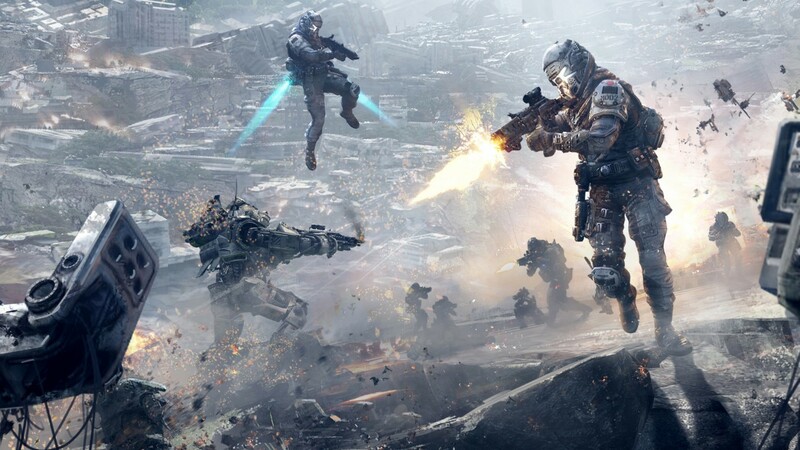 As in every FPS game, moving is one of the main keys to survive and in Titanfall this element’s value has been intensified. Running and jumping are not the only options towards a dynamic posture anymore. Players can now use a set of pilot maneuvers, such as wall running, double jumping and mantling. Covering yourself is probably the most efficient way to survive deadly blows and constant fire. Some maps don’t provide huge amounts of cover places, however you should always keep in mind that open spaces are your worst enemy. If you remain covered while in combat, you’ll at least have a chance to react and fight back. 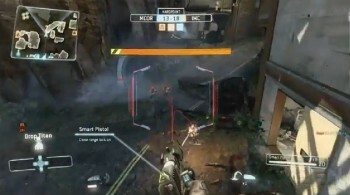 Apart from the innumerous objects that can work as cover places, Titanfall displays an interactive environment that can help you survive or reach certain places faster. 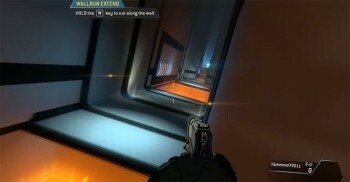 For example, the zip lines spread over several maps will certainly help you travel between points in a much faster way. If you shoot your enemies from long distances, there’s a huge chance that they won’t know where you’re shooting from at a first glance. Furthermore, you’ll have the surprise element with you – with the proper gear and a fierce aim, picking kills this way will be a piece of cake! Dissimilarity doesn’t just bring superior points, it also brings inferior ones and in Titanfall every strong trait is followed by a weak one. You should always identify your opponent’s class and build and immediately counter him. For example, CQB pilots are extremely powerful at close encounters; try to take them down from afar. When commanding a titan, instead of having a dynamic posture and a cover instinct, you should focus on getting the most kills possible while absorbing damage and dodging deadly blows. It’s a question of taking the most profit from your titan before it goes down. If you realize that several enemies are approaching you, then the best thing to do is to run towards your allies or seek cover and try to take them down one by one. The second option is rather risky but very rewarding if successfully done. Note that you can use specific tactics to counter massive numbers; one of them is the frag grenade. Titans are quite hard to kill, especially if you’re using your pilot but there’s a simple trick that can take down titans in a blink of an eye – the rodeo maneuver. This tactic is generally deadly for enemy titans, since your pilot will climb into the titan’s back and inflict a lethal attack that will either disable or kill the machine. Surprisingly, pilots can’t dodge enemy attacks but titans can. Titans have the ability to instantly perform a sideways slide that is particularly helpful against rocket and gunfire. 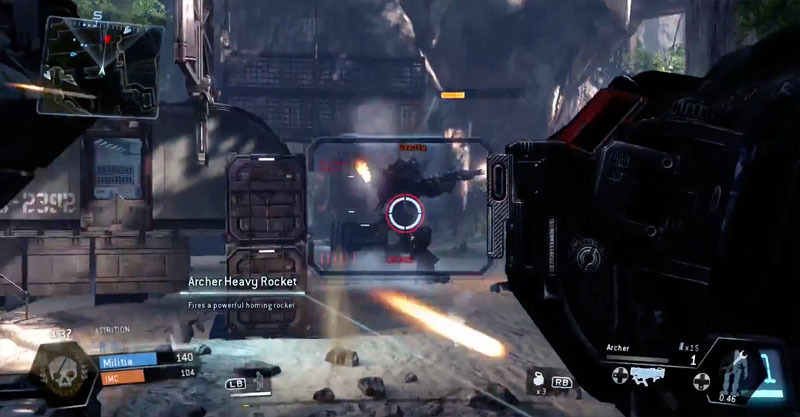 In Titanfall grenades don’t have a detonator but you can manually blow them off. This trick is particularly deadly against ejected pilots. 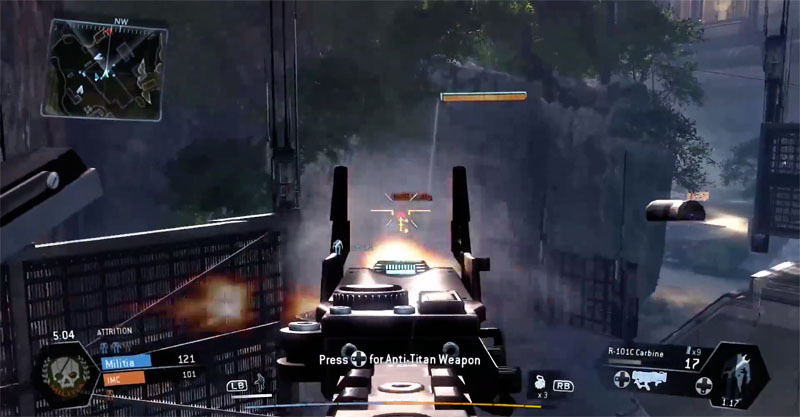 To trigger this event, you must launch a grenade and shoot it using a Smart Pistol Mk5. Cloaking is a general skill for all pilots and it’s mostly effective against titans. If you enable this ability in front of enemy pilots, they’ll still be able to spot you, however enemy titans have no way to detect invisible targets, so if you’re in trouble don’t hesitate.